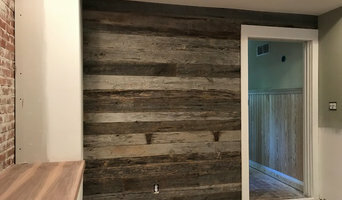 We work with homeowners and builders to match our finest reclaimed wood products to their creative designs. 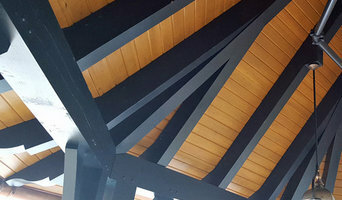 Product lines include lumber, beams, wall paneling and flooring. WOOD & Co. focuses on fine residential and commercial hardwood architectural elements. Providing essentially, one-stop shopping for high-end interior and exterior wood products. Specialists in heavy timber, wide plank flooring, and wood paneling. Products include custom timber trusses, post, beams, braces, and brackets; pergolas, pavilions, trellis, pool houses, and cabanas; wide plank hardwood flooring, patterned flooring, and paneling in new and antique reclaimed wood. Founded and managed by Tim Day, WOOD & Co. provides the consumer, along with the design and construction professional a one-stop gallery of fine wood products to create a complete wooden room interior. Special care is given to the understanding of customer objectives and the creation of custom samples, CAD drawings, and other specifications to ensure the desired outcome and expectations are achieved--care that simply isn't found in high-volume production environments. W&C's target market includes luxury residential and high-end commercial projects where design emphasis is placed on unique wooden architectural elements. WOOD & Co. is based in Marietta, Georgia, but ships products through the US and Canada. Installed sales are available throughout the Southeast, with other locations considered on a job-by-job basis. 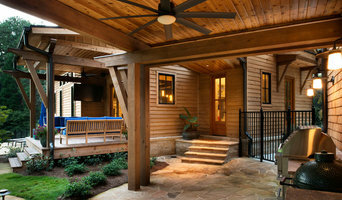 With branch locations in Marietta, Macon and Lawrenceville, PMC Building Materials serves Atlanta area general contractors, remodelers, deck builders and homeowners throughout the metro area and all of northern Georgia with construction supplies to suit virtually any project. 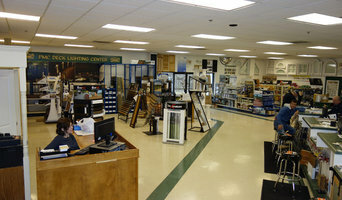 With a 6,500 square foot showroom and an unparalleled selection of building supplies carried in-stock, we provide solutions that others simply can’t. Both of our locations feature the largest outdoor deck displays in the Southeast featuring all of the latest and most popular decking products being offered in the market. We offer an outstanding knowledgeable and caring staff that specialize in all aspects of the building industry, which helps set us apart from other suppliers. Vintage Lumber Sales is one of the foremost suppliers of heart pine, oak, and old growth cypress in the United States. 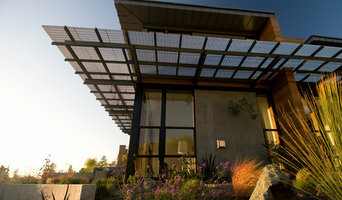 We have over twenty years of experience working with the country's leading architects, builders and interior designers. For over 35 years Pierce & Pierce has been the premier provider of high end architectural millwork and moulding, and our craftsmanship can be found in some of the finest residential homes and commercial buildings in the Atlanta area. From libraries to entertainment rooms, our vast archive of projects are yours to access. In addition to custom mouldings and components, we have on hand over 1 million linear feet of stock moulding in 30 different species to ensure you get the moulding you want when you want it. For our retail customers, we have an extensive showroom in Norcross where you can choose from a wide array of mouldings and architectural components including corbels, appliques, wood turnings, and more ready for purchase, no minimum required. Founded in 1993, the dasso Group is the world leader in the development and production of innovative bamboo products. Headquartered in Hangzhou, China, today the dasso Group has 10 manufacturing facilities and over 1,000 employees, in addition to owning over 2,700 acres of productive, sustainable bamboo forest in China. For over two decades, the dasso Group has been at the forefront of the development of innovative bamboo products, including bamboo flooring, decking, siding, and furnishings. Since 1927, Thomas Lumber Company has been producing quality lumber products for the Southeastern US. Today we have the largest inventory of Cedar, Ponderossa Pine, Ipe, White Pine, Cypress, Decking products, Deck railing, Trex, Primo Grills and more in the the Atlanta area. We control our on production with our on site mill to guarantee the customer gets the best material for their project. Our History Nico and Claire Vogel are extremely knowledgeable about natural stone fabrication. Nico acquired his knowledge about the industry from years of being a subcontractor. His wife, Claire, gained her knowledge about the industry from working as a sales rep for a top countertop fabrication and installation company in the Atlanta area. In 2006, Nico and Claire decided establish their own natural stone fabrication and installation in the Atlanta area, and Amazon Stone was born! From the start, Amazon Stone’s goal has been to provide top quality products and services using natural stone or manufactured quartz to every customer. We take pride in our work, and we have plenty of positive customer reviews to prove it! Because of the amount of business we have received through the years, we have grown from being a home-based business to having a giant 38,000+ sq. feet warehouse in the Atlanta area! We have a huge beautiful showroom with demo kitchens and bathrooms. Our staff has grown, and Amazon Stone now has three countertop install teams. Although most of our fabrication and installation jobs are in the Atlanta area, we are not limited to that area. We will serve the Southeastern Region of the United States which includes our home state of Georgia as well as Alabama, Florida, South Carolina, Tennessee, and North Carolina. We install high security door locks, replace alarm systems (monitoring and motion detection), carry a wide selection of locks and keys from deadbolts to electronic locks of the best brand names in the market such as: Mul-T-Lock, Baldwin, KwikSet and Medeco. The history of our business is one of continuous change. We have always attempted to adopt the newest improvements in technology as they have developed. From the original crude methods of making only one size brick and type of brick, the company now manufactures over 100 different varieties. Today with its three modern plants and extensive product line, We can meet the needs of almost any consumer. Whether it is a home in Macon or in any one of the thirty-two states its serves, Cherokee Brick & Tile Co. strives to give its customer product value and superior service. We supply bamboo building materials classified in 6 categories:- dassoFlooring, dassoXTR, dassoElements, dassoFurnishings, dassoArchitectural and dassoInnovations. Come visit our website to source for your specific needs at www.dassoUSA.com. Delaney Hardware specializes in providing high-quality door hardware for residential homes, multi-family buildings, and commercial projects for over 25 years. With collections that combine superior finishes and comprehensive mechanics, Delaney’s commitment to value, quality, and exceptional service distinguishes it from the rest of the industry. The company’s consistent delivery times, quality products, knowledgeable support experts, and experienced keying technicians, allow it to provide unparalleled door hardware service to suppliers for builders, installers and homeowners. Delaney Hardware’s full product line includes door hardware, barn door hardware, bath accessories, and trim hardware. As the country’s premier distributor of building products, BlueLinx provides service and flexible distribution options to our customers and suppliers. With more than 50 years of experience in the building products distribution industry, you can rely on BlueLinx to be a trusted partner who is committed to the success of your business. Find lumber and building supplies on Houzz. Narrow your search for North Druid Hills, GA lumber supplies and building supplies by selecting the nearest city or zip code. Find trusted lumber companies and hardware suppliers with reviews from residential builders, interior designers and homeowners.